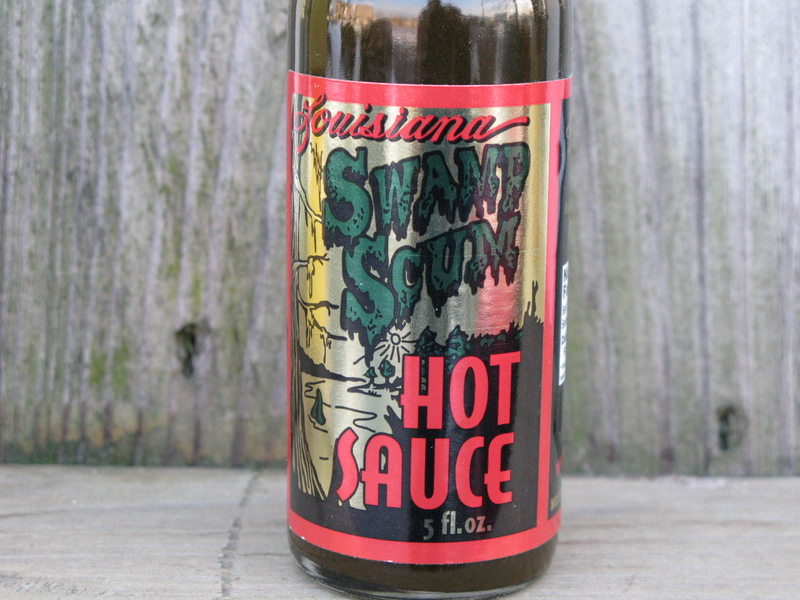 Swamp Scum Louisiana Hot Sauce has been around since 2008. Traditional Louisiana style hot sauces, with their simple blend of cayenne peppers, vinegar and salt, are usually my least favorite of any hot sauce. But Swamp Scum from MossyBayou.com is a bit different. Quite a bit. They add a smokiness along with molasses that brings on a smoky sweetness that elevates this sauce far above your average Louisiana style. Texture & Appearance: There’s no “red dot” on this bottle. This stuff is green – a dark, swampy green – but very much on the thin side. I wish it was thicker and chunkier. 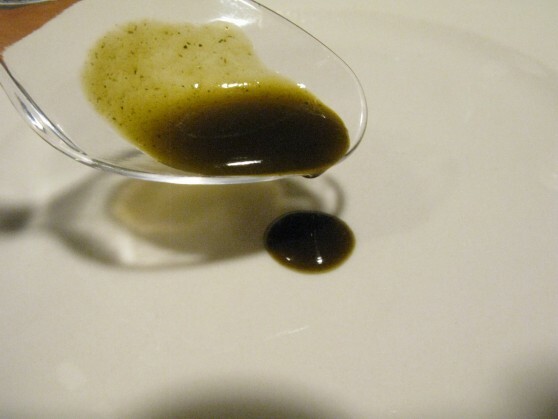 Taste: The molasses seems to temper the usually strong vinegar taste, resulting in a smoother tasting sauce. There is also that nice smokiness I’ve mentioned. Heat Level: A hint of the peppers shine through the vinegar, with the biggest taste being the dark smokiness that I’ll assume is the “natural flavoring” in the ingredients. That and the sweet molasses round out this smooth tasting and simple concoction. Label/Graphics: You can see that the label is very dark on a shiny foil-like background. In a way it is fitting for such a dark sauce in both color and the whole swamp thing. Overall Rating: 3.5 out of 5 stars for the uniqueness and smokey colors and flavor. I would have gone 4+ stars if it had more body and heat. Check out Swamp Scum or their Bayou Blend Seasoning, or all the other great sauces and rubs from Mossy Bayou! It looks like swampy water. Sounds like it has a mild taste for the heat. It is mild. The overall taste is definitely “Louisiana” style… but better. Thanks Jon! Great review, this looks like a sauce i’d like to try and I love the label. Thanks Johnny! It really is a good “Louisiana” based hot sauce. I’d choose it over the “Red Dot” of Louisiana Brand or Texas Pete any day.